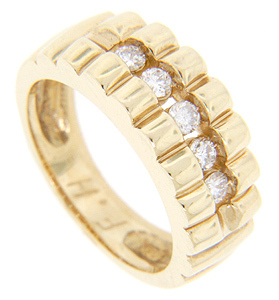 Five sparkling round diamonds are set in the center of this 14K yellow gold vintage wedding band. 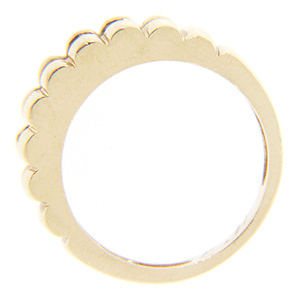 Gold ridges decorate the top and sides of the ring adding to the ring’s character. The wedding ring measures 7.9mm in width. Circa: 1950. Size: 6 3/4. We can resize.